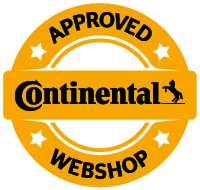 Naturally our online shop also stocks the correct winter and summer tyres - who would want to risk a fine and points in Flensburg due to worn tyres? And, finding the correct parts and tyres is child's play. Just enter the make, model and type or simply enter the key numbers, HSN and TSN found on your car licence papers, into the search engine. In this way you will quickly find the correct parts for your car at our partner shop page 123spareparts.co.uk This is especially important for safety related components as a wrong part could cause a dangerous malfunction. Quality spares don't need to be expensive and rip a hole into your budget. We supply spares which are not only good, but are available at a low price. And savings on spares are not only for small car owners like Ford, Skoda, VW or Opel. Even a Mercedes spare part, a BMW car part or an Audi spare need not cost hundreds of Euro. You can save just as much for upper and middle end cars as you can for small and medium cars. 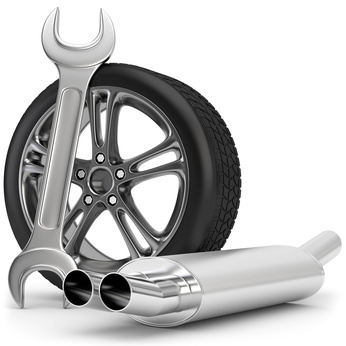 Spares for luxury cars are often available at bargain prices. Through proactive stock levels and consistent financial planning, we can offer original quality car spares at extremely low prices. These are often cheaper than in the conventional off line sector. 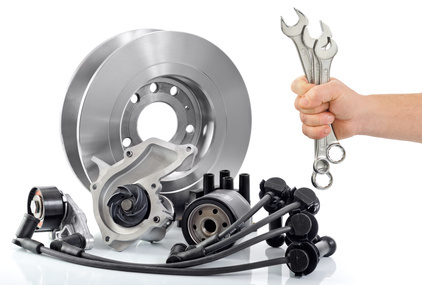 So you can get spares from renowned manufacturers like, Bosch, Brembo, ATE, Meyle, Monroe, Beru, Hella, K&N, SKF or Sachs and many more from us at reasonable prices. We have these car parts not only for replacement and repairs but also for tuning. When tuning, always ensure the safety of the vehicle. This should be your top priority and never at the expense of more power. Tune your car carefully and gently, so that you enjoy it for a long time. It must be emphasised that regular oil changes will extend the life of the engine. Here the maxim is: The more short trips you do, the more often you need to change the used engine oil. Oil change intervals are mostly at between 15000 and 30000 kilometres or between one and two years. It helps to check the details in the motor manufacturer's Owner's Handbook. You should only use oil which has been recommended by the manufacturer for your particular model and engine. Because of engines with variable maintenance intervals, diesel particulate filters or fuel injection, various oils with special properties have been developed and every manufacturer has set out their own company standard. Unfortunately this often confuses the driver who needs to choose the correct lubricants. Here too, it helps to call our friendly client consultants who will happily help in the choice of the correct oil. If your car still has a dipstick, there's no harm in checking the oil level at regular intervals (usually once a month). Just like using the wrong oil, low oil level can do damage to the engine due to lack of lubrication. There is usually leeway of one litre between the maximum and minimum levels on the dipstick. Too much lubricant is as damaging to the engine as too little. It is recommended that you keep the oil level between the two extremes on the dipstick. Oil use of half a litre per 1000 kilometres is within acceptable limits. If more oil is used, there is probably a problem and a visit to the workshop as well as new parts will be necessary. What else can help extend the life of car parts? Short distances are toxic to many spare parts and damage the drive train. The motor does not warm up properly and often doesn't reach its optimal operating temperature causing increased friction. Therefore trips to the baker around the corner should be avoided. Rather walk or use the bicycle. If you want to do your car a favour, then drive when the car is warm. For one thing, depending on the ambient temperature, on cold start, motor oil often takes a while to reach all the important points in the engine and for another friction is simply at its highest during cold start. If you want to preserve your car, then don't let the revs climb to more than 2500 rpm for the first ten kilometres. It is just as important to cool down the engine with a turbo as it is to warm up a cold engine. Following a long trip or high speed (e.g. on the freeway), it is important to let the motor idle for one or two minutes to cool it down, and then switch it off. If you don't do this the oil at the very hot radial shaft of the turbine wheel in the turbo charger can burn and block the oil ducts. Then the bearings are not sufficiently lubricated and damage to the turbo, together with high costs, will be inevitable. Continuous driving at high revs should also be avoided as higher rpm means higher friction. It would be best not to exceed 3500 rpm continuously. Looking after your car helps to retain its value and that doesn't just mean a regular trip to the car wash. Door and bonnet edges, wheel arches, and the floor pan are areas which cannot be reached by the brushes. Here hand wash or a high pressure cleaner will help. Additional body cavity sealing would not go amiss. For this, a special corrosion protection wax or grease is used. This protects the car from damage through corrosion or rust for years. It is also sensible to drive carefully on bad roads and to avoid driving too quickly through deep potholes and over high curbs. This will preserve the chassis, tyres, drive shaft and steering joints. It is most important to comply with the maintenance intervals as well as the replacement intervals of important parts and not to exceed these in order to preserve the car's value. In order for the car to last as long as possible and not to leave you in the lurch when you desperately need it, it is important to stick to the manufacturer's replacement intervals for important parts and to check them regularly between these intervals. The car manufacturers have often even introduced different intervals from one model to the next which are based on theoretical calculations and long term tests. It is difficult to keep an overview and even more difficult to give blanket guidelines. Brake discs and brake pads are an example of this. 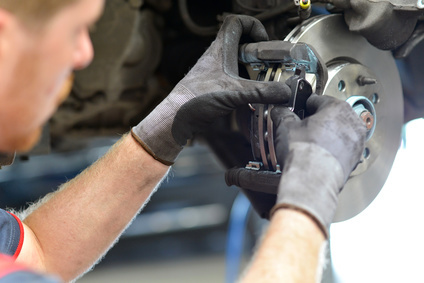 Someone who brakes sharply and suddenly causes the brake pads to wear down excessively, so they can be worn away completely after only 40000 to 50000 kilometres. If proactive driving and engine compression are used to save the brakes, the pads can last 100000 kilometres. It is important to check the brakes every time tyres are changed in winter and in summer. Some manufacturers supply brake pads with warning contacts. If these come into contact with the brake disc, a power circuit is closed and wear indication light (usually yellow) flashes in the cockpit. Checking the brake fluid is also important. As moisture in the air can accumulate in it, it is recommended that it be changed completely every two years. Nowadays it is almost impossible for a starter battery to last for the lifetime of the car. The recommendation here is to change it after four to five years, if it has not yet failed. A battery in a modern car can often fail before this time span because it is no longer only responsible to start up but needs to supply power to many other features e.g. radio, navigation system, seat heating, electric windows or the air conditioning. Conclusion: Investing in a quality, premium battery is always worth it. The timing belt is a most important part of the engine. Many motor manufacturers still use this technology for power transmission from crankshaft to camshaft but they must be replaced regularly. To avoid a tear and subsequent expensive engine damage, the replacement intervals (mostly every 100000 kilometres, depending on the manufacturer's specification), must very definitely be adhered to. It is necessary to change the interior filter regularly in order to have fresh, clean and dry air in the car. This is especially important for allergic people who depend on pollen free air in the car. Oil and air filters also usually need to be replaced every 30000 kilometres. It is also very important for safe driving to check the tread depth of the tyres and not to use old tyres as the rubber compound hardens with age and becomes porous and cracked. At the very latest when the minimum tread depth of 1,6 millimetres is reached (for winter tyres the safety margin is already greatly reduced at four millimetres),prompt tyre replacement is recommended not only for your own safety but also that of other road users not to mention risking points demerits, A visit to https://www.mytyres.co.uk/or https://www.123spareparts.co.uk/ for all your spare parts as well as tyres, will be worth it.